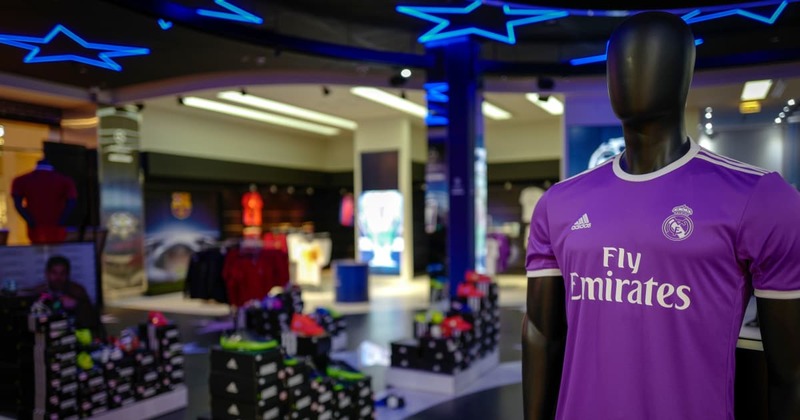 ​Real Madrid are set to sign the biggest kit deal in football history, renewing their agreement with adidas to the tune of €1.1bn over the 10 years from 2020 to 2030. ​Marca report that Real’s marketing department, led by José Ángel Sánchez, have been in negotiations with the German company for a number of years over the renewal, with companies including Nike and Under Armour attempting to nose in on negotiations. adidas refused to give up their ‘crown jewel’ though, agreeing to renew with the reigning European champions for a further 10 years in what the Spanish newspaper call the biggest kit deal in football history. The report will provide a much needed boost to the mood around ​Los Blancos – no doubt the intention behind the timing, given Marca’s well documented close ties with the club – after manager Julen Lopetegui was sacked at the end of last month just a few months after being appointed. The point scoring between Spain’s two largest clubs, often via their media proxies (AS and Marca for Real, Mundo Deportivo and Sport for Barcelona) is such that it’s often difficult to decipher news from propaganda – and as such, it may be unclear for some time which club truly has the most income from their kit deals.